When the "Left mouse button pans when Space is pressed" option is on in Preferences, Space+mouse drag pans canvas instead of switching to Selector. The zoom field in the lower left corner of the window allows you to specify zoom level precisely. The actual distance for pixel offsets depends on zoom level. Zoom in for finer adjustment. All the (, ) commands convert the object to path, if necessary, and produce regular path. These commands produce an offset object, editable by the node tool, standalone or linked to the original. select all (current layer) - This works on objects within the current layer (unless you change that in preferences). The actual size increment for pixel scaling depends on zoom level. Zoom in for finer scaling. The actual angle for pixel rotation depends on zoom level. Zoom in for finer movement. 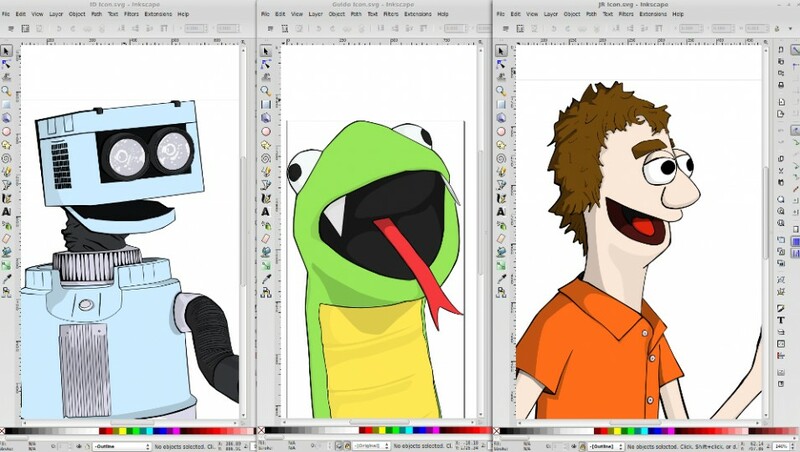 Inkscape is a free and open-source vector graphics editor; it can be used to create or edit vector-based visual files. With this program, you can create logos, illustrations, and posters. What is your favorite Inkscape hotkey? Do you have any useful tips for program? Let other users know below.